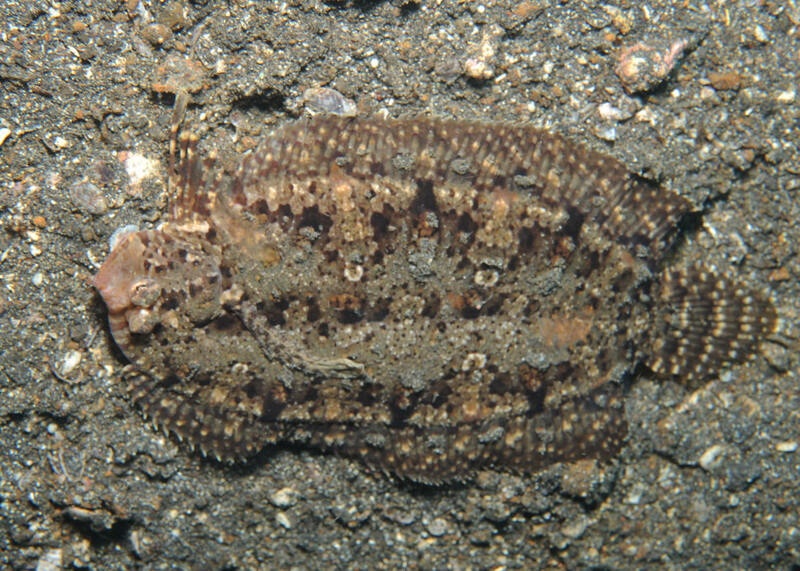 Bothus lunatus (Linnaeus 1758), the Plate Fish. Tropical eastern and western Atlantic. To eighteen inches overall length. A master of disguise like many flatfishes. Need fine sand to bury in. Feed on small fishes, crustaceans and octopus in the wild. TiffB pic in Roatan. 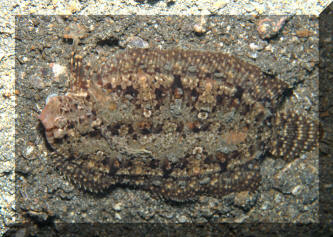 Bothus mancus (Broussonet 1782), the Flowery Flounder. To 42 cm. in length. Indo-Pacific; East Africa to Hawai'i, Cocos I. Fr. Polynesia. Aserragodes kaianus (Gunther 1880); Western Pacific; to 14 cm. KBR, Lembeh, N. Sulawesi, Indo.